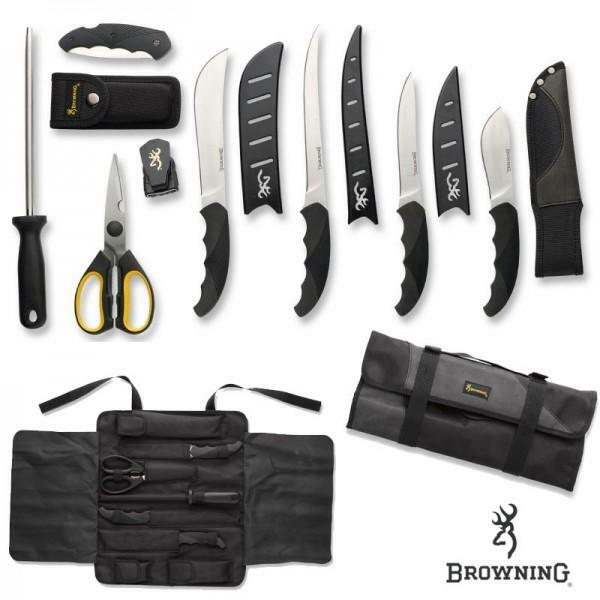 The Browning DIY Butcher Kit is the perfect kit for processing your own game or even livestock. 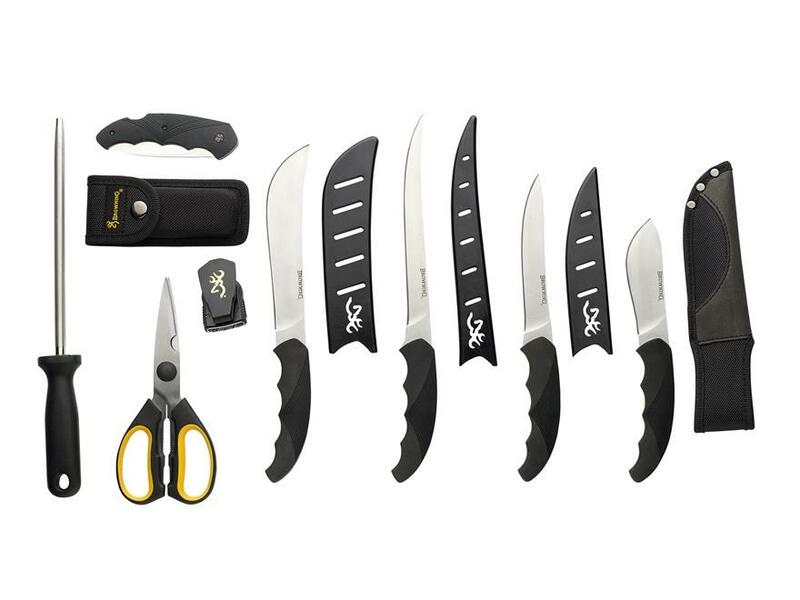 This set includes five knives, a sharpening steel, and shears; basically all the tools needed to allow users to handle just about every step towards getting that animal processed. The knives in the DIY Butcher Kit feature blades made from 420 stainless steel and the three large blades utilize blade guards while the smaller two knives include nylon sheaths. The entire set can be carried in the included nylon tool roll, allowing users to easily transport and keep track of their butchering tools.